Houston state court judge Kevin Fine made news last week when he ruled that the death penalty was unconstitutional.He rescinded that order yesterday, but the defence attorneys in the case said he hasn’t changed his mind. Loper says his interpretation of Fine’s March 4 order and subsequent statements is the judge found the death penalty procedure itself unconstitutional as it relates to Article 37.071. Loper says the judge wants to give the state and the defence in State v. Green an opportunity to brief the issue. The hearing on the issue is tentatively set for April 27. No matter the outcome of that hearing, this is a battle that is far from over. Texas Attorney General Greg Abbott has already vowed to help the local D.A. 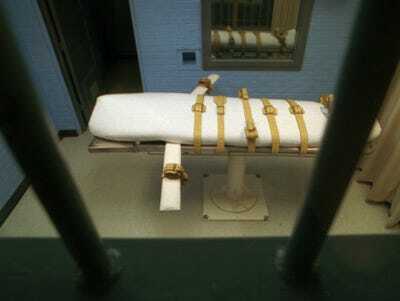 fight any ruling proclaiming the death penalty unconstitutional.